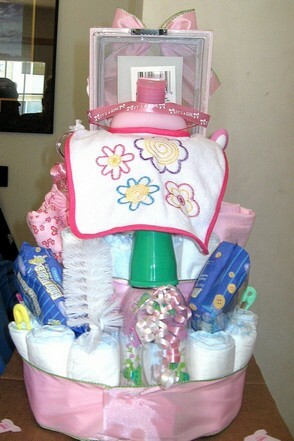 This precious diaper cake has plenty of frills - bows, ribbons, and flowers. I love the pink curly ribbon - it gives it a very delicate touch. 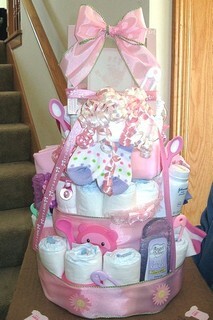 What a gorgeous diaper cake and perfect for a baby girl shower! Jodi is the artist behind this diaper cake canvas, and she is a wonderful example of someone coming to this website for ideas and then sharing the diaper cake that she created. This website is quality and helpful because of our readers. Jodi, thanks for your beautiful ideas! Thank You Jodi - it is absolutely adorable! 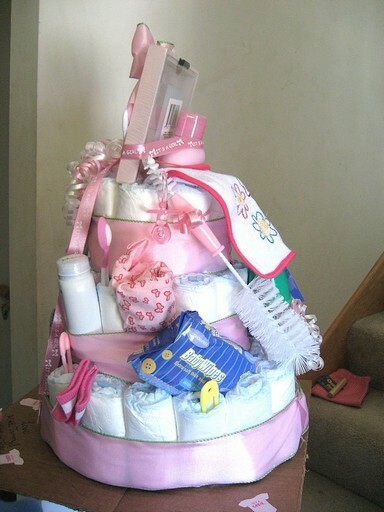 It's easy to make your own diaper cake. Where should you start? 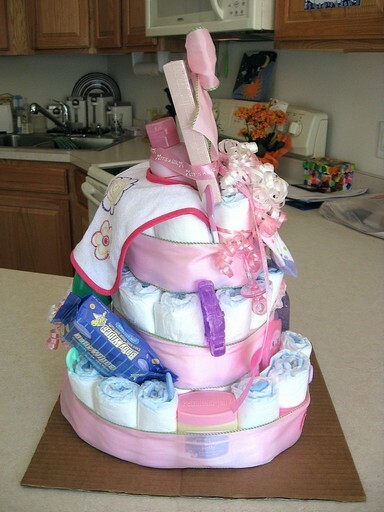 Follow these 3 simple steps and you'll have a diaper cake in just an hour or two!